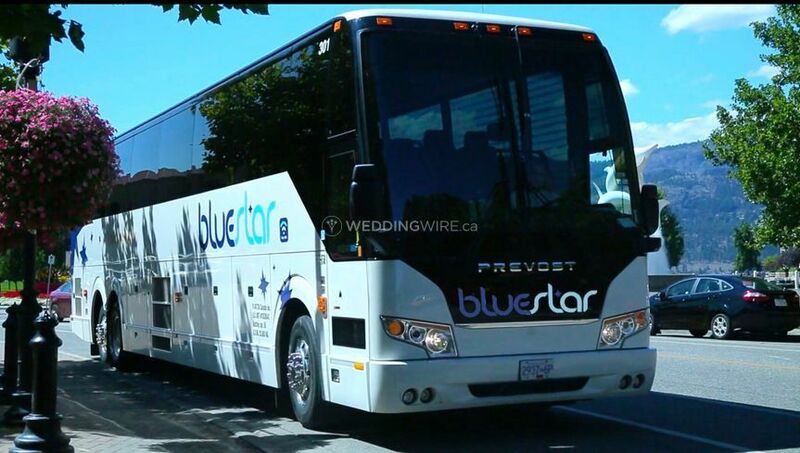 BlueStar Coachlines ARE YOU A VENDOR? 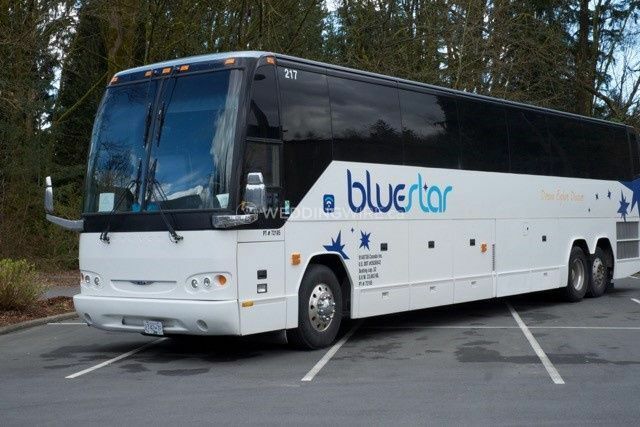 At the cutting edge of luxury coach travel, BlueStar is the front-runner when it comes to quality transport and service in British Columbia. 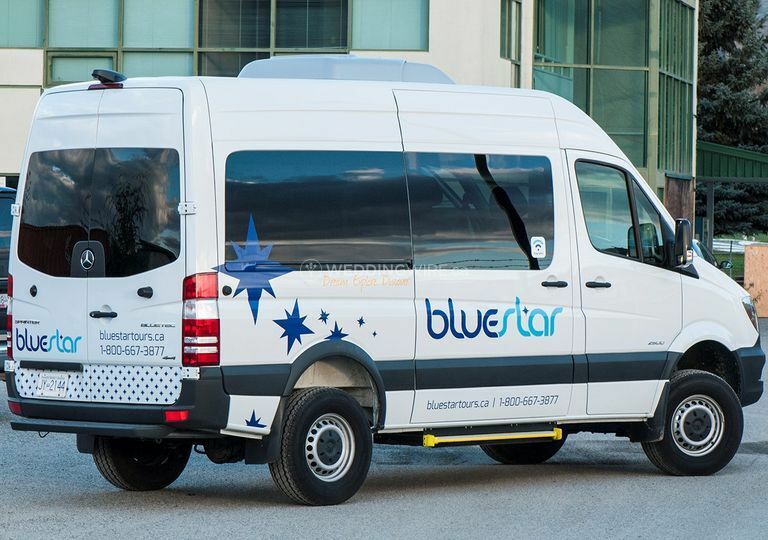 They are what their legendary drivers make them: friendly, professional and customer-centric. 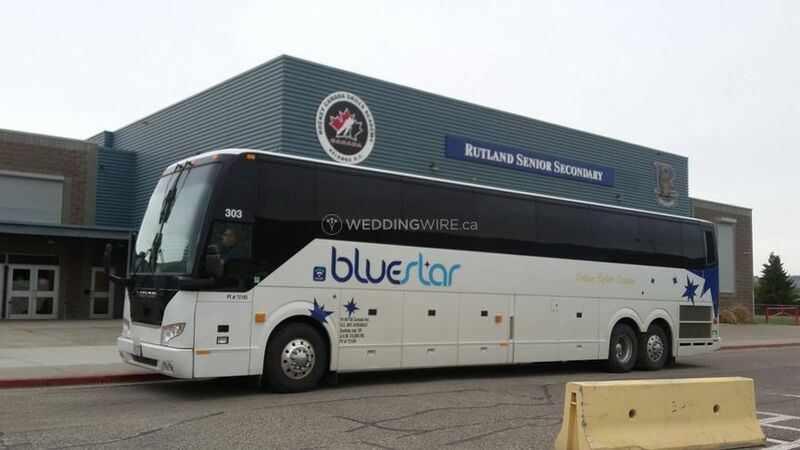 These are exactly the kind of people you want taking you and your guests in safety and absolute comfort on the day of your wedding. 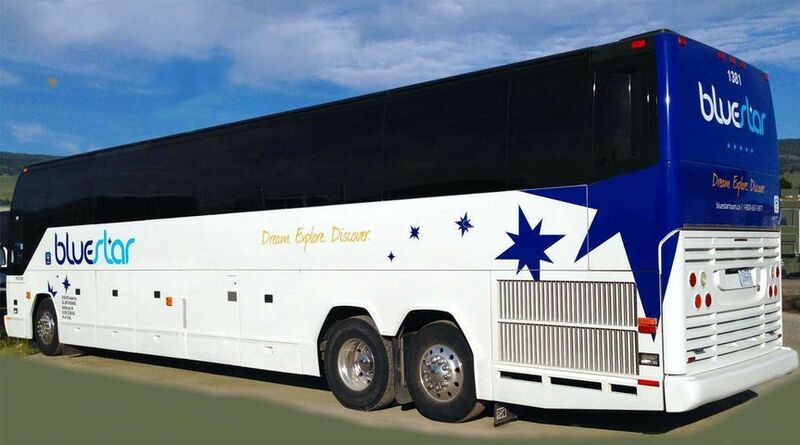 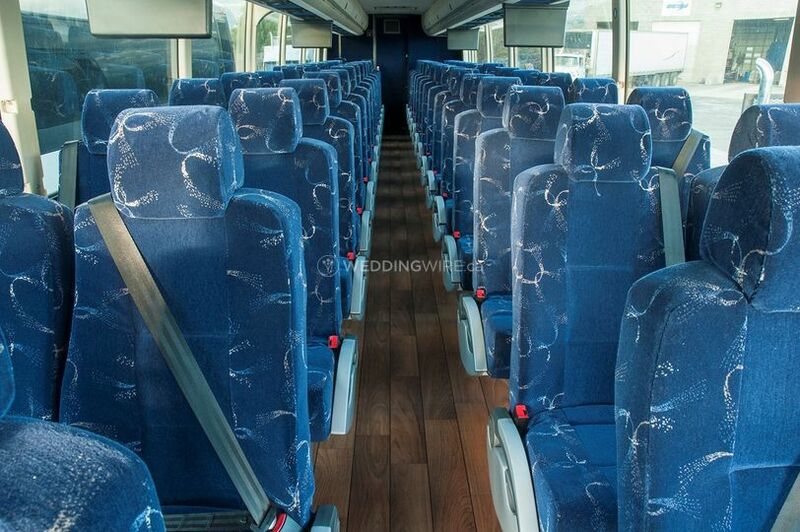 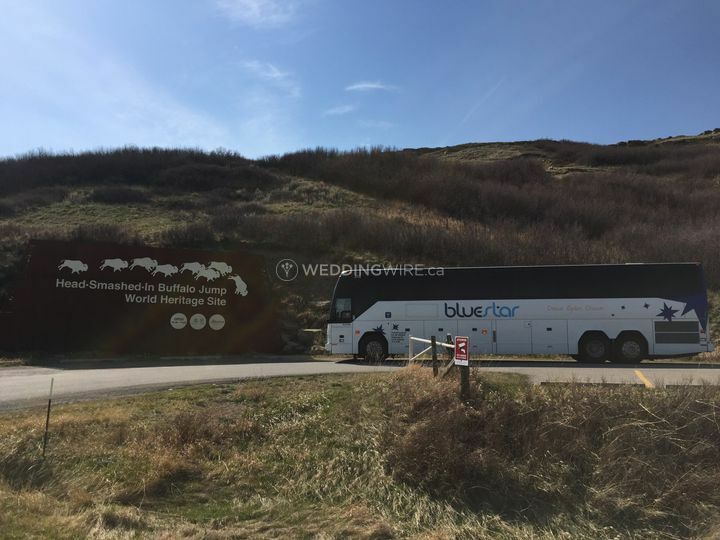 Serving all of Western Canada, BlueStar Coachlines are proud to offer their fleet of diverse sized coaches - luxury 56-seat coaches with Wi-Fi, DVD players, washrooms and the ultimate in comfort and an executive class 27 seat coach and an 11 passenger Mercedes sprinter. 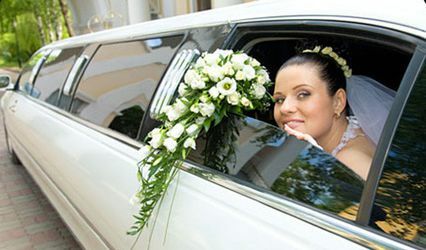 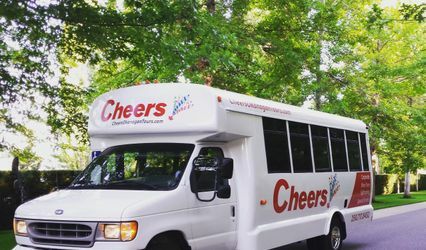 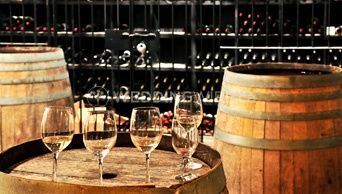 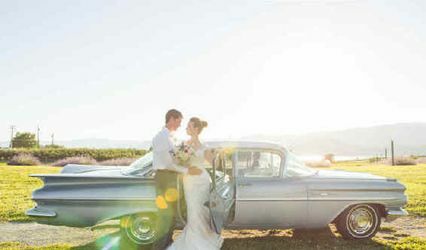 Considered as number one in Okanagan for wedding transportation, and their hospitable drivers will guarantee the utmost in care, quality, safety and reliability.